Working with videos is a time-consuming process. Anyone who has done video editing ever, knows how the difficulty level that need to face while converting a video into various suitable formats, so that it can be viewed on different platforms once finished. As organizations are now creating more video projects than ever, they are realizing the problem involved into converting them. Thankfully, there’s a solution to this problem, Amazon Web Services (AWS). Amazon Web Services (AWS), allows to upload videos cloud and helps to convert them into desired formats. The best part about cloud based conversion is, you can unburden the workload from your system and can complete the conversion faster without much hassle. 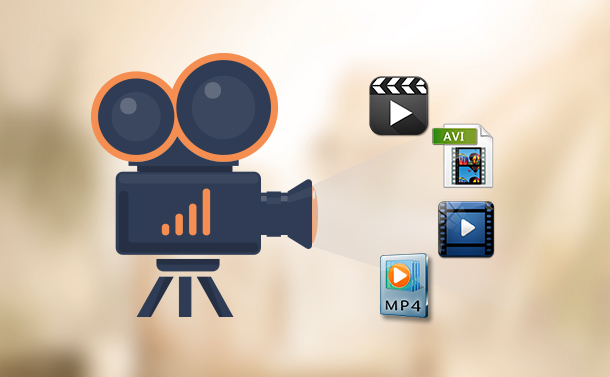 To convert a video file using AWS you need to first upload the footage onto AWS S3. Amazon Simple Storage Service is a storage for the Internet, designed to make web-scale computing easy for developers. Amazon S3 can be used to store retrieve any amount of data, anytime, from anywhere. 1. Sign in to AWS Management Console and open Amazon S3 console at https://console.aws.amazon.com/s3/. 2. Next, chose the Bucket name in which you want to upload your video files. 3. Next drag and drop your files into the console window. Selected files will be listed in the Upload dialog box. 4. Now upload the files, choose Upload. If you want to set permissions or permissions for the files that you are uploading, choose Next. 5. Now, on the Set Permissions page, set the permissions for the file you’re uploading. After assigning the permission, click Next. 6. Next, follow the remaining prompts to select storage class and to choose encryption method (if you want to use encryption) and proceed with the file uploading. This way you will be able to upload the video file on Amazon S3 cloud. 1. Go to the list of AWS services. 2. Now, click on MediaConvert, listed under Media Services section. 3. When MediaConvert window opens, click on the orange Get Started button. You can find it at the top of the screen. Note: If you want to create additional job you can click the Add button and queue multiple videos for conversion. 6. You can choose from the list of options offered to edit your video like a pro. However, if you just want to perform a basic video conversion, click on the Add button under Output Groups section. 7. You will now be asked what type of output group you want to create. Select the radio button next to the File Group to which you want to convert the video too and click on Select. 8. Once you have selected the file format, you’ll be take back to Create Job screen and the output group will be added to the screen. Note: The group type listed as Pro indicates, resulting video will be of professional quality and you will have to pay a higher cost for it. 9. Next, click on the output group name to reach to the screen where you can specify the video codec and resolution that you want to use. 10. Once you have chosen video codec and resolution, click the Create button to run video conversion. Using these simple steps, you can convert your video files to any compatible formats in no time. Amazon Web Services is a sure way to get video files converted without much hassle. Hope you could follow the instructions and convert the file to your desired format. However, if you face any problem or you need to share your feedback with us please do so. Your feedback is valuable to us.